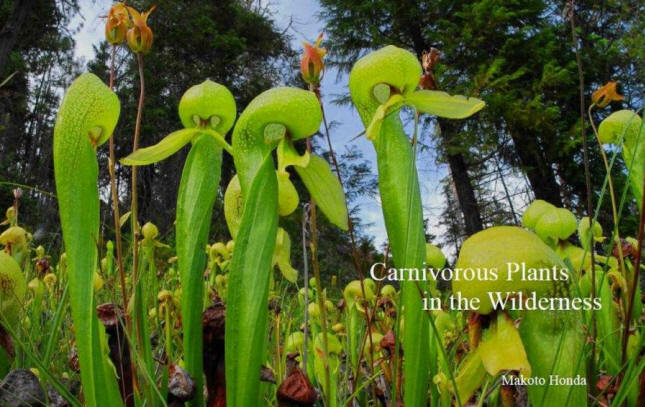 "Carnivorous Plants in the Wilderness" . "Carnivorous Plants in the Wilderness"
Book size: 8.5 x 11 inches. 274 pages. 390-plus color photographs - mostly taken in the wild. All images are critically selected out of thousands of images. 36 two-page-spread (or nearly as large) photographs. Black & White Photography Edition is also available. MY PHOTOGRAPHIC PRESENTATION OF THE CP WILDERNESS! This is a book on the ecology of carnivorous plants, their lifestyle and surroundings. Through millions of years of evolution, carnivorous plants have acquired special adaptations that may appear quite bizarre and eccentric in the seemingly docile world of the plant kingdom. The idea that some plants eat animals sounds so strange that there was strong hesitation on the part of eighteenth century botanists to accept such a notion. It is a deviation from our familiar concept of the food chain. Plants are eaten by herbivores and herbivores, in turn, are eaten by carnivores. Carnivorous plants have reversed the order of this normal hierarchy that exists within the ecosystem. Charles Darwin was one of the first to demonstrate, with convincing evidence, that some plants had indeed been adapted to the carnivorous habit. Modern science has confirmed that the nutrients obtained from captured prey are absorbed through the trap leaf and are carried to the growth points, suggesting that the plants do derive benefits. The main requirements for the healthy growth of plants are sunlight, carbon dioxide, water, and some inorganic nutrients. A deficiency in any of these basic requirements creates a hostile environment for the plants. In any adverse situations, the plant must adapt to survive. Over millions of years, the plants' struggles for survival have created a staggering array of properties found in the richness of the plant kingdom of our planet today. There are places in the world where the soil is poor and plants cannot obtain enough nutrients through the root to sustain their growth. This particular environmental stress has given rise to a syndrome quite eccentric in view of the normal plant lifestyle. It is in such mineral-deficient environments found in some regions of the globe that the plants that have adopted carnivory can be found. 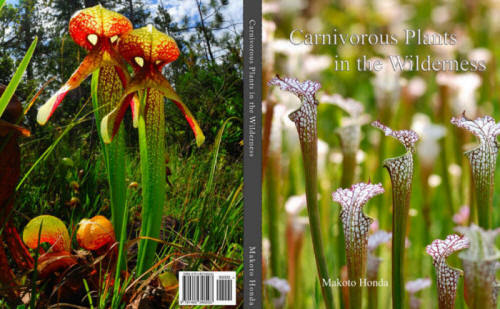 The Introduction of this book describes carnivorous plants in the world, covering various trapping methods deployed by carnivorous plants, their beautiful flowers, a dilemma associated with pollinators, ecology, classification, and evolution. The six chapters that follow describe all the genera of carnivorous plants occurring in North America - Pitcher Plants (Sarracenia), Cobra Plant (Darlingtonia), Sundews (Drosera), Venus Flytrap (Dionaea), Butterworts (Pinguicula), and Bladderworts (Utricularia). Each chapter describes in detail a specific trapping mechanism of the genus. Through vivid imagery of nature photography, the reader is invited into the wilderness of North America to witness a variety of mysterious carnivorous plant lifestyles in their natural habitats. For book contents, see below.